Gator Wesley meets on Sunday night for worship and Wednesday night for Midweek Worship. We know that meeting new people for the first time can be intimidating, and checking out a campus ministry can be intense. We want you to know that there is a place for you at Gator Wesley. Gator Wesley is located right across from the University of Florida on the corner of W University Ave and NW 14th St. right next door to The Standard. How long is a Gator Wesley service? Gator Wesley Sunday night worship usually lasts about hour. We know that time is an important thing, that's why we intentionally create a comfortable space for you to connect with others and to worship. Our Sunday night worship service starts at 7:30pm, with a free dinner immediately before at 7:00. Our night is usually finished around 8:30 pm and all are welcome to hang out after worship and connect with some great people! What's the culture like at Gator Wesley/what can i expect? We are a diverse mix of backgrounds, personalities, talents, and gifts. Our hope at Gator Wesley is to encourage and develop lives that reflect the love of Christ. That means a lot of things, and we want you to know that regardless of your past, present, or future, you are welcome and loved by the people of Gator Wesley. The atmosphere is pretty laid-back, and we are intentionally focused on moving forward, growing, and leaning into community as we learn from and grow with each other.  Want more info before you come to Gator Wesley? If you're not quite ready to check us out in person, we would love to hear from you and answer any questions you have! Please feel free to check out the rest of our website! GatorWesley.life is about connecting you to the next steps of finding community here at Gator Wesley. You can find a calendar of events, ways to serve and lead, mission opportunities, and all the details of our events and trips! Follow the links to our Facebook page and Instagram for more pictures and updates on our past and upcoming events!